Label design created for Mental Health Resources for sale at the Learning and The Brain conference in Boston, Massachusetts this November 18-21. With the expressed desire of Brian Donoghue (MHR President) to keep the project local, all aspects of this label design was locally sourced. The pop was locally produced by Lucky Chocolates and the sticker used for packaging created by me; a Saugerties graphic designer. 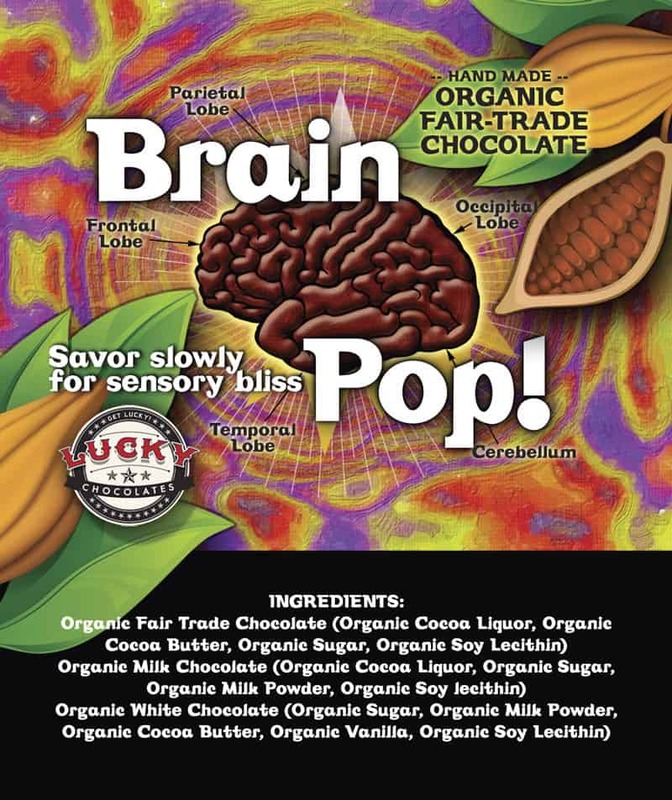 The concept of the chocolate Brain Pop! was the idea of Donoghue who wanted to offer convention visitors something special to bring home to their children and friends. Shaped like a human brain, the treat is molded to a paper stick similar to traditional hard candy. However this sweet confection is hand-made using organic, fair trade chocolate and all-natural ingredients. The label design has a whimsical feel combining colorful graphics. If you happen to be in the MIT, Kendall Square area or at the Boston Marriott Cambridge during convention hours, drop in and say hello to Brian and David. 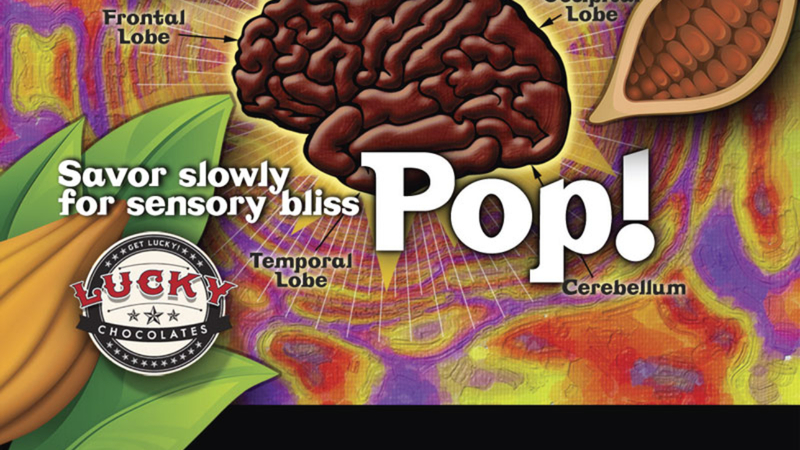 The pop will be for sale at the event’s official bookstore managed by Mental Health Resources, Inc. And by the way, besides the attractive label design, the Brain Pop! inside is a chocolate lovers delight.